Want to have this clinical pocket reference? Do not delay! Sign up today and access all dental knowledge. 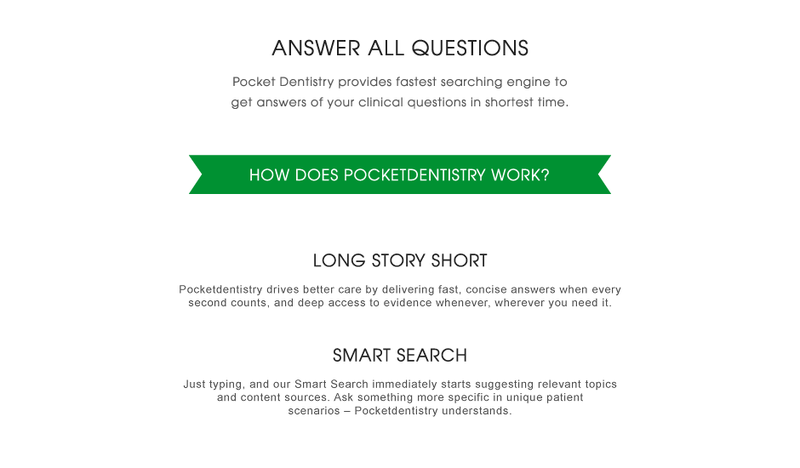 Pocket Dentistry provides fastest searching engine to get answers of your clinical questions in shortest time. Just simply fill the clinical problem that you want to consult in the search bar! Our huge database will help you solve all of your problems by the easiest and fastest way.